Gucci Mane : Gucci Vs. Guwop album download | Has it Leaked? Just days after announcing the album, Gucci Mane has already released the intro to the album for free stream among many sites. 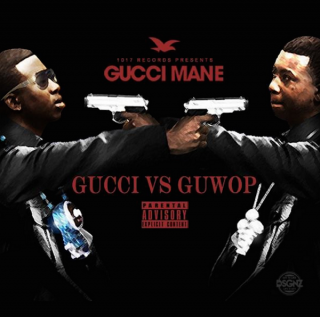 It is titled "Gucci Vs. Guwop (Intro)" and can be streamed from this page via SoundCloud. After releasing two albums in the month of July, many thought we would have to do some waiting until we got out hands on Guwop's 12th studio album. But, this is leading us to believe that this album will be released much sooner than we thought. Production for the intro was handled by Zaytoven.